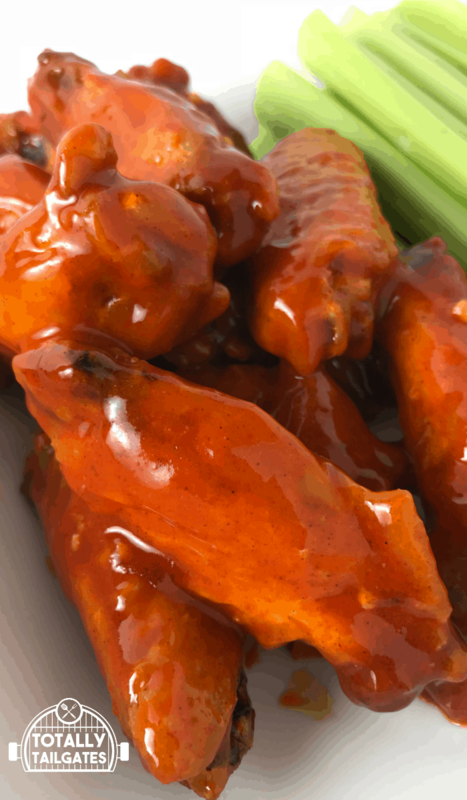 Sweet & Spicy Chicken Wings are always a family crowd pleaser on game days! These are the perfect combination of heat and sweetness with that classic chicken wing flavor. Touchdown! Hi there! 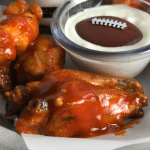 It’s Heather from Totally Tailgates, and I am so excited to share this wing recipe with you today. You can make restaurant-style chicken wings right at home! And with only four ingredients, not only are they a snap to make but you can also serve a crowd economically. Round out your tailgate menu with Football Game Day Hot Corn Dip! The best part for families? Your weekend chicken wing leftovers will make a easy weeknight meal, too. Just pair the Sweet & Spicy Chicken Wings with a baked potato and salad for a quick supper. 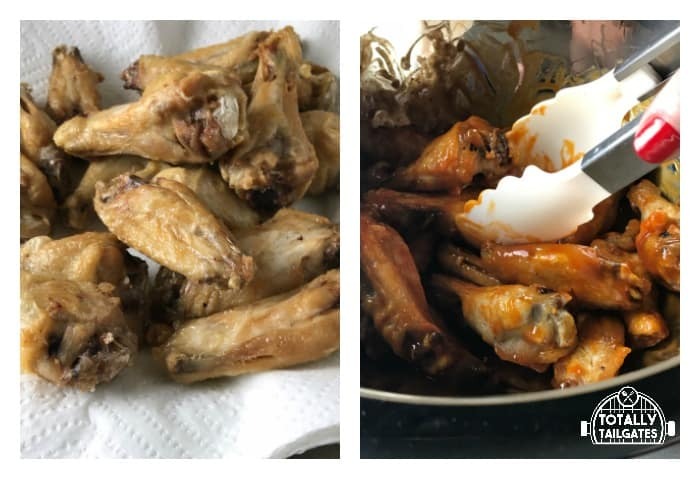 When I moved out of my sorority house and into my first apartment, making chicken wings from scratch was one of my first forays into cooking. After MANY trial and errors, a version of this Sweet & Spicy Chicken Wing recipe was born. We went back to Macon, GA years later, and were saddened to learn that our favorite hot wing restaurant had closed its doors. However, this wing recipe is mighty close to their signature wings, so all is well! Making Sweet & Spicy Chicken Wings is a snap. First, melt your butter and add the garlic. Stir in the wing sauce and add the honey. Let everything simmer for about 5 minutes on medium heat. Then, simply toss pre-cooked chicken wings into the sauce! Super easy, right? Have you heard the saying “the secret is in the sauce”? Truer words cannot be found! This wing sauce is VERY versatile. If you want to make Buffalo Chicken Sandwich Wraps, just bake frozen chicken tenders as directed and toss them in the Sweet & Spicy Chicken Wing Sauce. Lay out a flour tortilla, and layer lettuce, ranch dressing, and sauced up chicken tenders. Roll it all up the tortilla and voila! You have a delicious wrap. I hope you and your family enjoy these chicken wings as much as we do! 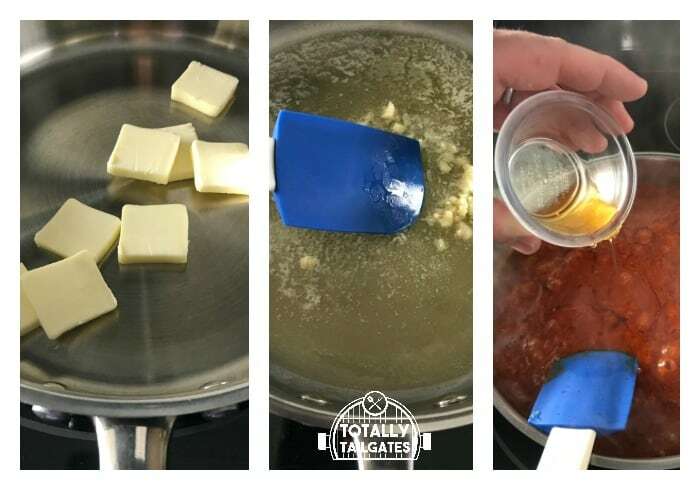 And, make sure to take a peak at my Skirt Steak Crostini Bites if you are grilling at your tailgate! 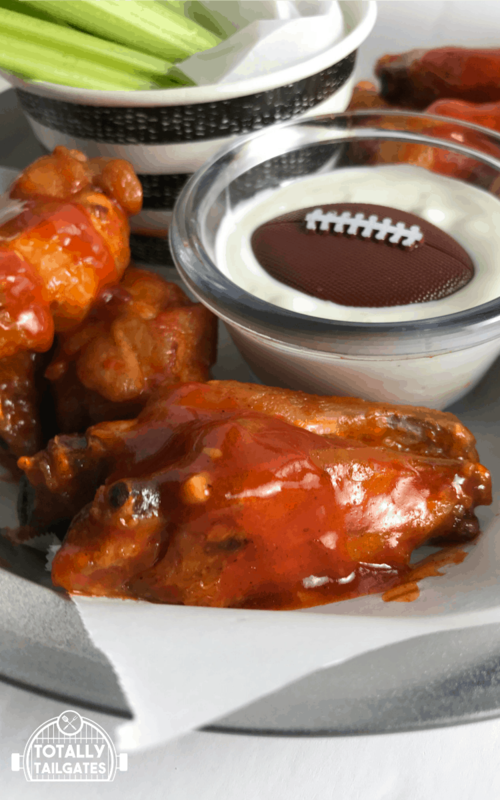 Sweet & Spicy Chicken Wings are always a family crowd pleaser on game days! These are the perfect combination of heat and sweetness with that classic chicken wing flavor. Add garlic and cook 2-3 minutes. Do not let the butter brown. Add hot wing sauce and simmer 2-4 minutes. Add honey and cook mixture until thoroughly heated. Toss cooked chicken wings in sauce. Serve immediately.